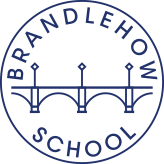 I would like to receive occasional information and updates from Brandlehow School PTA Summer Auction 2018 and jumblebee. Bid for items large or small in our fundraising auction - 100% of proceeds will go to Brandlehow School PTA to help fund resources and activities and contribute to the Brandlehow Library Appeal. From birthday cakes to dance lessons, beauty to holiday cottages - there is something for everyone! Please note that some items are restricted to Brandlehow School families only - see listings for details. 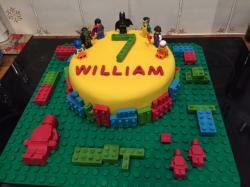 A personalised Lego birthday cake for your child's party - delicious chocolate fudge cake decorated with your choice of coloured icing (lego friends colours also available), child's name and edible lego bricks. This is a large cake that will easily feed a parties worth of hungry mouths! Does your child love dogs? 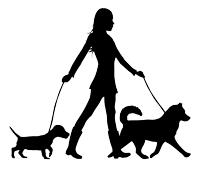 Bid for this exclusive opportunity to help Ms Mendelssohn walk her dog - with plenty of time for play - then be treated with an ice cream of their choice afterwards. This item is one of several kindly donated by Brandlehow staff to raise additional money for the school. 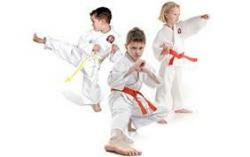 A ten week term of children's karate lessons with Nishikawa Shotokan Karate, based at Brandlehow School on Sundays. As an added bonus, if the winner joins the group after this period they will also include a free karate suit! 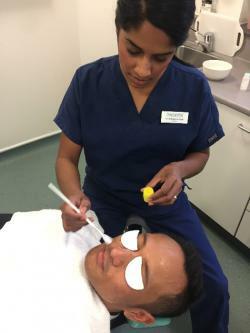 Dr Uma Jeyanathan from Mydentist Putney, your local dentist, is offering a bespoke facial peel using Neostrata products. These peels cater for your individual needs and can target fine lines, large pores, blackheads, dullness, pigmentation and acne. This will be a gentle acid peel with minimal redness and downtime. Beneficial for all skin types it is a wonderful pampering relaxing treatment for any parent (Mum or Dad). A thorough consultation will take place before the peel. 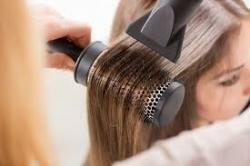 This treatment is worth £80! Bid for your child and up to 5 of their friends (or siblings) to take part in an after school table tennis tournament with Ms Gordon - who will be the champion?! The tournament is for a group of children (max 6) and will take place on an agreed date, lasting 45 minutes. 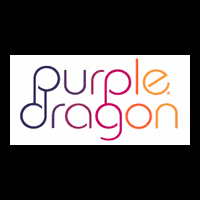 Purple Dragon 'Just a Taste' membership - 10 visits to their Putney Club - worth over £400! Purple Dragon clubs are places where both children and adults want to hang out, designed with children and adults in mind and underpinned by a culture of fun, happiness, community, respect and enrichment - clubs that allow the whole family to be together, without pressure or compromise. For children Purple Dragon is full of opportunity, somewhere to embark on magnificent adventures where they explore, discover and create. The whole family can delve into music, dance, art, design, cooking, movement, sport and imaginative play (all brought to life by our brilliant play buddies). For grown ups the club is a safe haven where they can relax, meet with friends, join in the action with their children, or get some work done, knowing that their children are happy and safe. 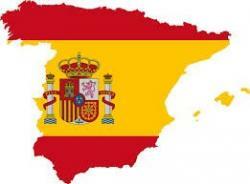 1 terms Spanish lessons for your child with InSchool Academy - worth £120! Bid for 1 terms lessons held at Brandlehow on a Wednesday after school - Level 1 (beginner) class. Can be used for any term during the next academic year. InSchool Academy teach Spanish to children in a fun and engaging way using games, role plays, dancing and singing. 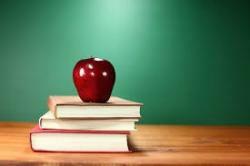 Led by qualified Spanish-native teacher, parents regularly receive individual feedback on their children's progress. Are you ready to step up your game and work toward the body of your dreams? 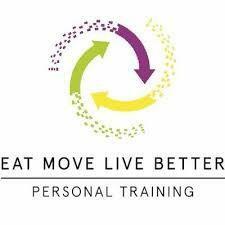 Our Personal Training services at Eat Move Live Better are focused on you and your results only! 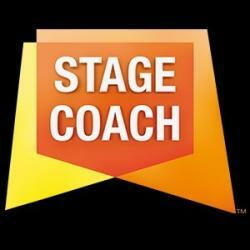 A place on StageCoach Putney's week long Summer Camp from the 7th-11th August for either age 4-6 or 7+. Come and join Stagecoach Putney as their fabulous teachers take children through their paces with fun singing, dancing and drama sessions whilst working towards a short performance to show friends and family on the last day. A week long place on an All Star Holiday Camp at King Georges Park, Leaders Gardens or Tooting Common, RRP £208! All Star Tennis create a fun-active learning environment, where children enjoy developing their tennis skills and learn to play. 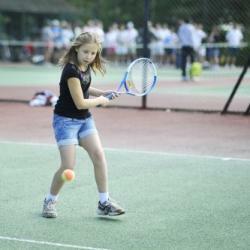 Children progress and develop their game with appropriate court sizes, rackets and softer balls. Our courses are for all abilities and are based on the internationally recognised LTA Mini Tennis Scheme. You will receive a full pedicure with an exfoliation and masque that will nourish the feet and nails. 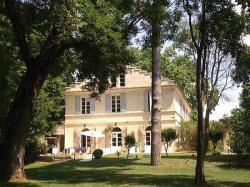 October get away to Provence worth over £500! 3 nights for 4-6 people during October half term in a luxurious bed and breakfast in Provence, located in a quiet area close to Avignon with a heated swimming pool. Le Mas de Capelou is a totally renovated XVIIth century house, typical from the South Eastern part of France, which has kept both its authenticity and elegance. Please note: Dates & number of guests must be confirmed by mid July as it gets quickly booked out. Bid for this £50 voucher for Little Voices South West London, valid against weekly lessons or a Theatre Week of your choice. 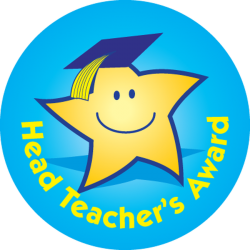 Bid for your child to be Head Teacher for the day! They will start the day by ringing the school bell then will become Ms Loughnan for the day, making announcements, decisions and helping keep the school running. In exchange Ms Loughnan will sit in your childs place in their classroom for some of their lessons - let's hope she remembers to behave! 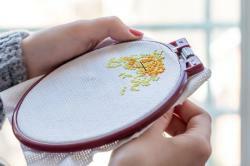 Bid for you or your child to get creative with a two hour beginners cross stitch lesson with Ms Rachel. 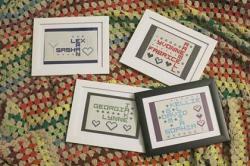 The winner will try their hand at cross stitch and will receive a souvenir cross stitch picture. This scrabble style keepsake will make a wonderful gift for family, friends or as something special to add to your home. By interlocking your chosen names (up to five) into a crossword pattern, a bespoke gift is created just for you. Each letter is cross stitched onto white/off white 11ct aida fabric. You can choose up to three colours for your design. Once letters are sewn into place, hearts and mini flowers are added into the spaces to make this gift even more unique. 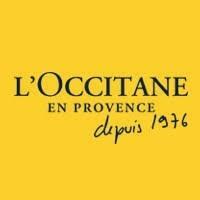 Bid for you and up to 10 friends to enjoy a pamper evening at L'Occitane Putney. You will each be able to enjoy a luxury hand and arm massage and a skincare consultation from our trained beauty advisors. You will be able to discover the products, browse and shop the store at your leisure and take home a goody bag with any purchase. Date subject to availability, valid until 31st August 2018, excludes weekends. 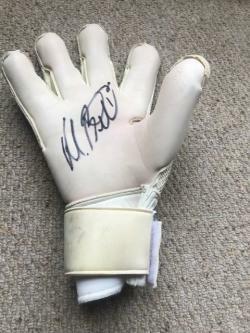 Own a piece of sporting history with this signed Marcus Bettinelli Goalkeeper glove - a must for any Fulham FC fan! 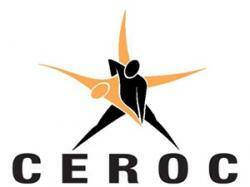 A fun 2 hour taster introduction to fencing for 2 adults - covering the basics of foil and epee fencing. 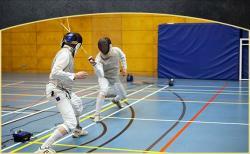 Fencing is a great form of exercise, and is fast and dynamic. Learn how to hold the sword and then start learning fencing bladework and footwork. All equipment is provided, available on a choice of dates in Pimlico. Get fit with BootyBarre or Buggyfit - worth £72! Get into shape with £72 worth of classes with Eliza Stuart. Voucher can be redeemed against Bootybarre or Buggyfit classes. Booty Barre is a unique, fun, high energy class, working your core at the barre. It fuses legendary fitness techniques from pilates, ballet, calisthenics and yoga. These techniques are designed to streamline, firm, tighten and tone muscles at the barre and re-align the body without adding bulk. This helps to create balance, posture, body awareness, flexibility and cardiovascular endurance. Buggyfit is the best way to get back in shape after your new arrival - classes are an hour long, and usually involve a 3 – 5 mile route in total. Classes start with a moderate warm-up walk, moving into a power walk or run to raise our heart rates. This is when we start to burn fat! Each class includes group exercises specifically selected to strengthen and tone particular muscle groups, and enable us to cope with the demands of motherhood. We finish off with a cooldown and stretch. Have fun and get fit while learning to dance modern jive. You will take part in a class for beginners, followed by another class to get over the same moves with the option of staying for a freestyle. No partner needed as people in class rotate. Want to get fit and learn to dance in a friendly environment? Rosie's adult ballet class is fun and a great way to keep fit. Whether you're a complete beginner, haven't danced for years or want to improve your technique - all are welcome. Enjoy the best views from the front row of your child's nativity/Christmas. performance! Please note that tickets for the nativity are free for all parents and this item is included in the auction solely for fundraising purposes. Is your child in another year group? Look out for our similar listing for KS1 & KS2. Bid for your child and a friend to challenge Mr Waters to a game of Tenpin Bowling at Hollywood Bowl, Tolworth - who will get the highest score?! Bid for this voucher for one person to have 5 x 45 minute swim lessons with The Swim School. The Swim School have developed an educationally sound, logical and progressive swim programme for their swimmmers. Their methodology utilises a range of positive educational delivery modules, including accelerated learning techniques. Escape to West Sussex for the weekend! You are bidding on a weekend stay (Friday 4pm to Monday 10am), any time from October 2018 to March 2019 (subject to availability, excluding Christmas, New Year and half term). Note that the swimming pool will be closed during this period but the garden, games room, and of course the beach are available to keep you entertained outside. 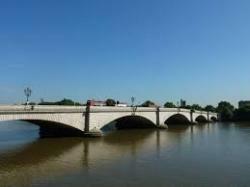 It’s easy to get to from Putney- about 90 minutes from by car or train. Take away some of the hassle of party planning by bidding on this package of party bags and a filled pinata for your child's party. 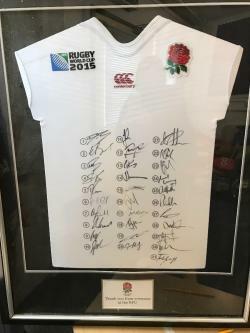 A must for rugby fans - a framed 2015 England Rugby shirt signed by the entire team! An amazing opportunity to stay in the beautiful Ash Barn in the Southern Lake District for 3 nights. Ash Barn sleeps 6 and is an accessible yet tranquil converted barn and a brilliant base for walking or cycling with good amenities in the local village, Broughton in Furness. Is your child in another year group? Look out for our similar listing for Early Years and KS1. 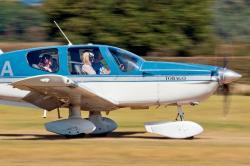 Ever wanted to fly yourself in a private aircraft? Put on your Ray Bans and get bidding for this amazing flight experience! - Hands on flight planning and aircraft preparation. - A walk through of the various instruments on the aircraft. - Learn what the controls are, and how to use them. - Experience what it's like to fly - you can take the controls as we fly high over the stunning sights of Southern England. ...Or just come along, relax, and enjoy the views. Chocks away! This experience is valid for 2 adults and will take around half a day with approximately 1.5 hours spent in the air. Bid for your child to be treated to a round of minigolf at Putt in the Park with Ms Morgan, followed by their choice of ice cream - who will get the highest score?! Can be used for family, children, maternity, events or headshots. 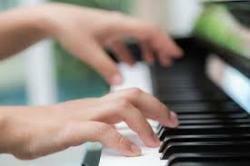 Bid for your child to enjoy a taster session or brush up their skills with this 1 hour piano lesson with Ms Davidson! Treat yourself and unwind with this Guinot hydraclean facial worth £40. Is your child ready to rock?! Treat them to a term's worth of Rock Steady, to be redeemed by January 2019. 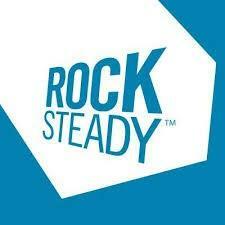 Rocksteady Music School offer in-school music tuition, making learning music fun by giving kids the chance to be in a band, perform the songs they love and learn life skills along the way. Choose from drums, guitar, keyboard or vocals. Instrument choice subject to availability at Brandlehow school. Our in-school rock band music sessions are a proven way of making music fun and giving youngsters the chance to rehearse together, perform songs they love and learn life skills along the way. 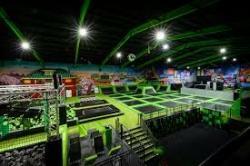 Bid for your child to be treated to a session at FlipOut Wandsworth with Ms Ellison - who can jump the highest?! Have complete use of a professional badge making machine for your child's party or event. 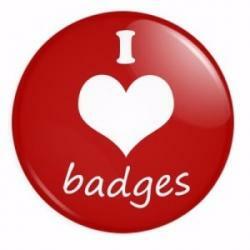 Make your own badges - a fantastic fun activity and great for party gifts! Is your child in another year group? Look out for our similar listing for Early Years and KS2. Does your little one love to perform? 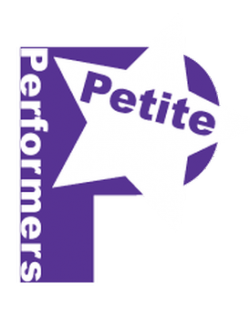 Petite Performers offer classes for little ones age 16months - 5 years. Take your pick from Ballet, Tap, HipHop, Drama & Musical Theatre. 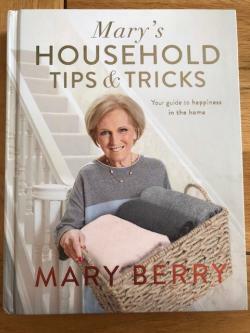 A must for all Mary Berry Fans - a brand new copy of her book 'Mary's Household Tips and Tricks' signed by Mary herself! An	amazing opportunity	to have SIX half hour	piano lessons	with Steven Hill,	pianist	and Head of Music at Portland Place School. 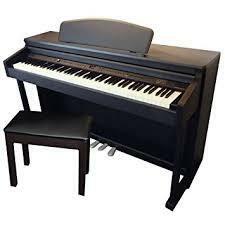 Lessons are available	to both children (KS2 and upwards)	and adults and can take place in your own home (if you have a piano/keyboard) or at Steve’s home in Putney, either as a block of lessons crash-course style or spread across 6 weeks. No	prior experience is required	- all levels	welcome. Bid for this fantastic opportunity to have a family photo session and receive 1 10"x8" and 2 5"x7" prints - worth £270! When it comes to family portraits, our aim at Click Studios is to make it fun for the children as we know how traumatic it can be for them – meeting new people in a new environment – so our portrait sessions are geared around them. When you arrive, our photographers will spend more time entertaining them than with you! 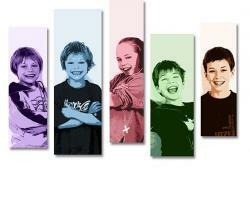 Getting the children relaxed and happy enables us to capture their spirit and personality. Bid for your child to get active with Ms Ball and run the 2 bridges! After all that hard work she will reward then with an ice cream of their choice. 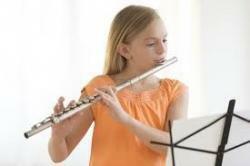 Bid for your child to enjoy a taster session or brush up their skills with this 1 hour Flute or Recorder lesson with Ms Sylvester, with afternoon tea! Watch a movie the Olympic Cinema way and bid for this treat for two - to watch a movie of your choice on your own comfy sofa. Our sofas sit in their own space at the rear of our luxurious flagship Screen 1, each with individual footstools. 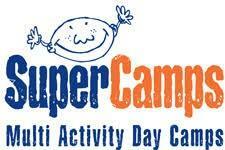 Holiday childcare with Supercamps - bid for this 1 day pass for any Supercamps holiday camp worth £45. Closest venue: Putney High. Supercamps are one of the leading providers of childcare in the UK, offering ofsted registered holiday camps for children age 4-14 throughout the school holidays. Their multi-activity holiday camps offer an abundance of fun activities and are a great choice for parents looking for holiday childcare provision. 2 hours of Primary School level tutoring in Reading, Writing or Maths with a qualified teacher - worth £90! Sessions can be taken in 1 block or 2 1 hour sessions. 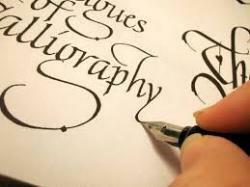 Bid for your child and 3 of their friends (or siblings) to take part in 2 after school calligraphy sessions with Ms Loughnan. They will work together to create something really special to treasure forever. The sessions will be 1 hour each and will take place after school.